You can enjoy country living at its best on this very private property with only 5 homes built. 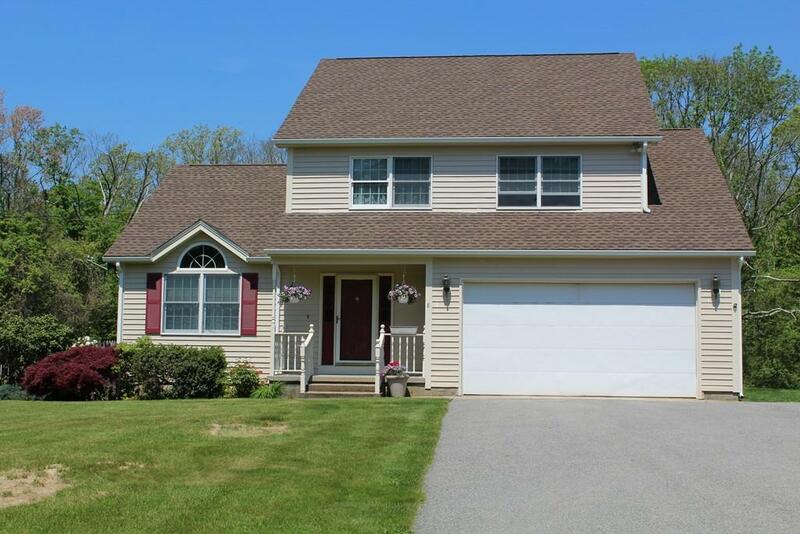 Enjoy the 3.5 acre lot in this spacious 3 bedroom, 2.5 bath Colonial home which features a great open floor plan, Recessed lighting for your bright open kitchen with a center isle and built in chairs for those quick morning breakfasts, also enjoy great open entertaining flow to dining area for large family gatherings. A great master suite with walk in closet, and full master bath with relaxing jacuzzi tub for those long days and or separate shower when your on the run. There are 2 more bedrooms with ample closet space for plenty of storage. A 2 car garage with room for bikes and other toys, and a separate door for your cat should you chose to have one. There is also a partially finished basement for the children to have their own play space and as they get older to have those sleep overs with their very own privacy. You will also have the central air for long hot nights! Don't miss out!